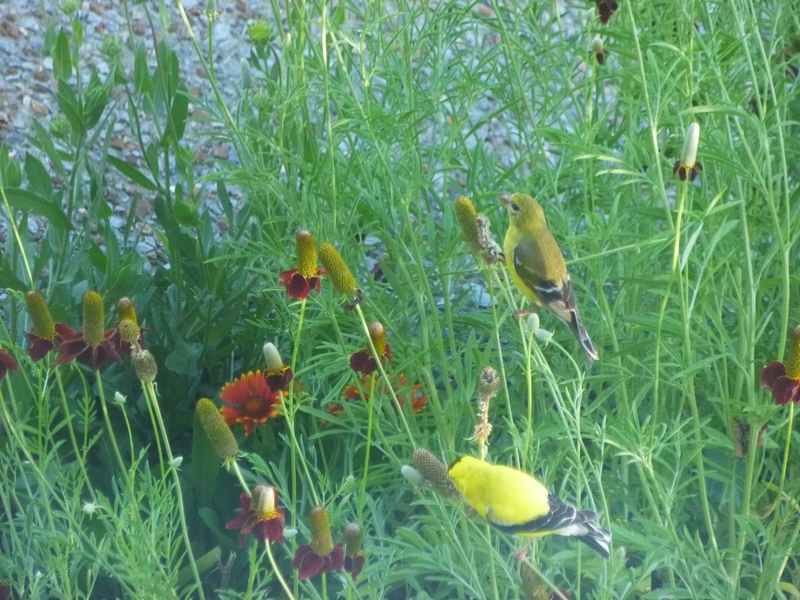 Garden of Aaron: Goldfinches Love Mexican Hats! 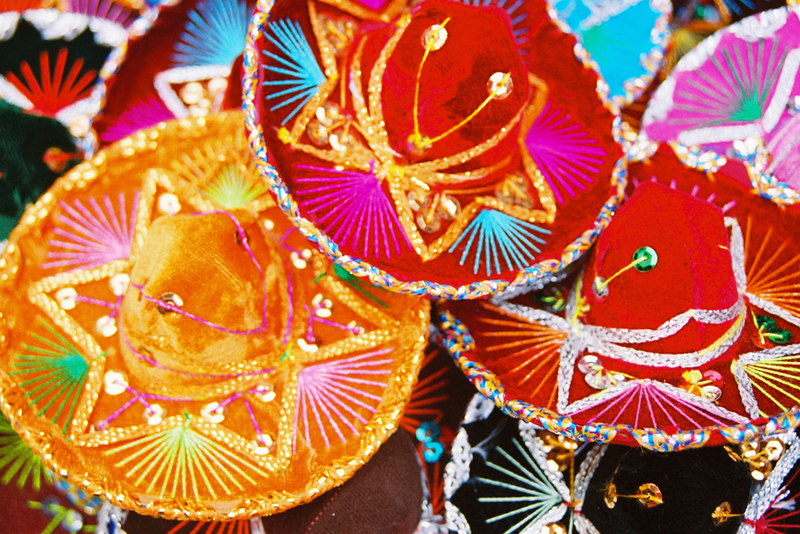 These Mexican hats (Ratibida columnifera)! My apologies if these photos are a little hazy - they were all taken through a windowpane. How many goldfinches can you spy in this patch of Mexican hats? I think I see at least five (four males and one female). At various times, I spied up to 8 or 10 goldfinches feeding in this patch, but this was the most I could get in a single photo. 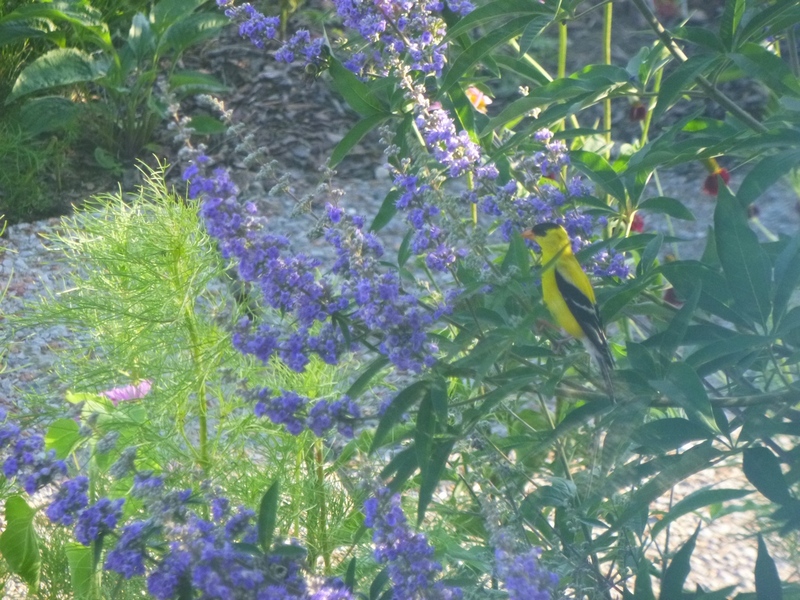 OK, this goldfinch is not feeding on Mexican hat seeds, but he is waiting on the branch of a chaste tree (Vitex agnus-castus) before swooping down into the patch of Mexican hats growing below. 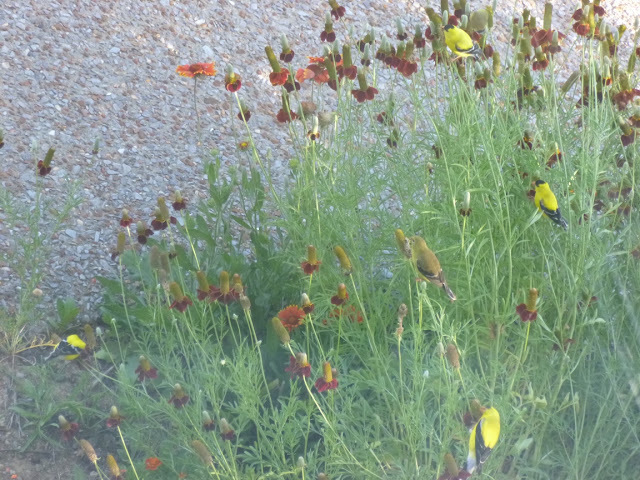 Mexican hats are annual flowers, but they self-sow (somewhat vigorously) from year to year. I have many more Mexican hats in my garden this year than I did last year. And with more flowers, comes more bees. With more bees, comes more seeds. 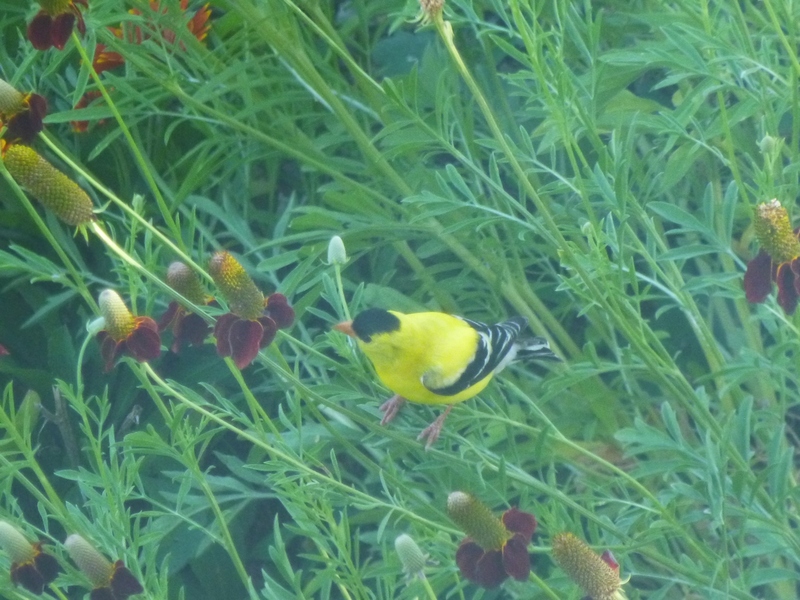 With more seeds, comes more birds. And that's what makes the world go 'round.